Happy Monday! 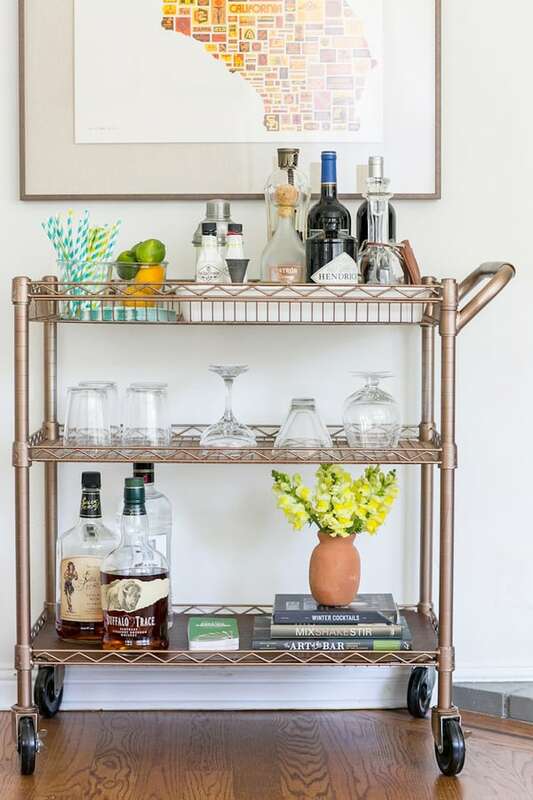 Last week I shared a pretty cool utility cart to bar cart transformation on Jen’s blog. 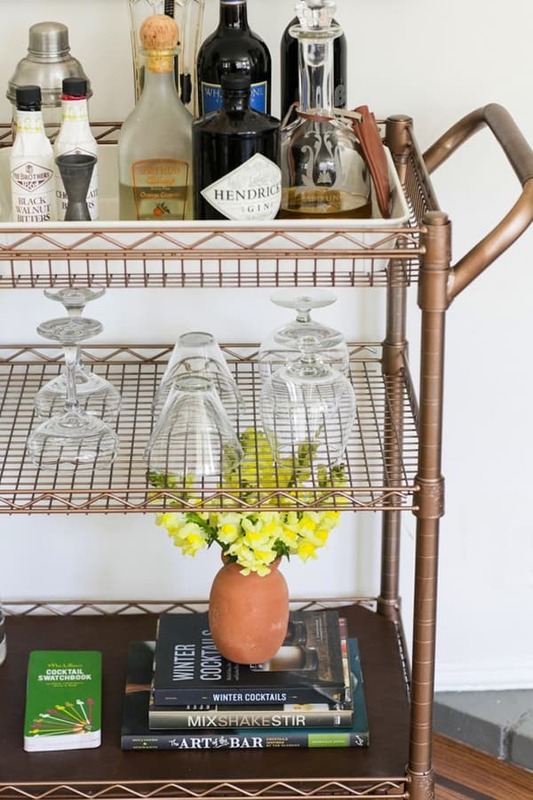 While I was out, I spotted this affordable industrial cart and instantly thought it would make a great bar cart… especially for outdoor entertaining this summer. 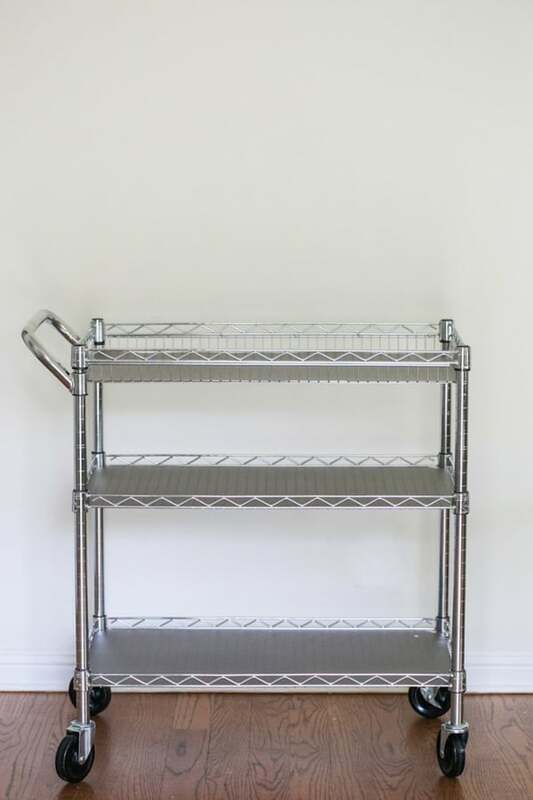 I bought spray paint and got some soft upholstery leather from the Leather Hide Store to transform this standard silver cart into something stylish! Head on over to Jen’s blog for the effortless tutorial! I LOVE how this turned out! I actually just left a comment on Jen’s blog about linking it up at The Makers link party going on right now on my blog, UpcycledTreasures.com. Figured it may make more sense to post it here too, and also wanted to say I can’t believe you got it for $60! It looks amazing! Where is that lovely California print from? Hi Megan! We ordered the poster from here: http://www.draplin.com/1998/01/ddc089_california_compiled_poster.html and then had it framed professionally. We really love this piece of art in our home!! What paint and color did you use? I would also love to know which spray paint color you used! Thanks! 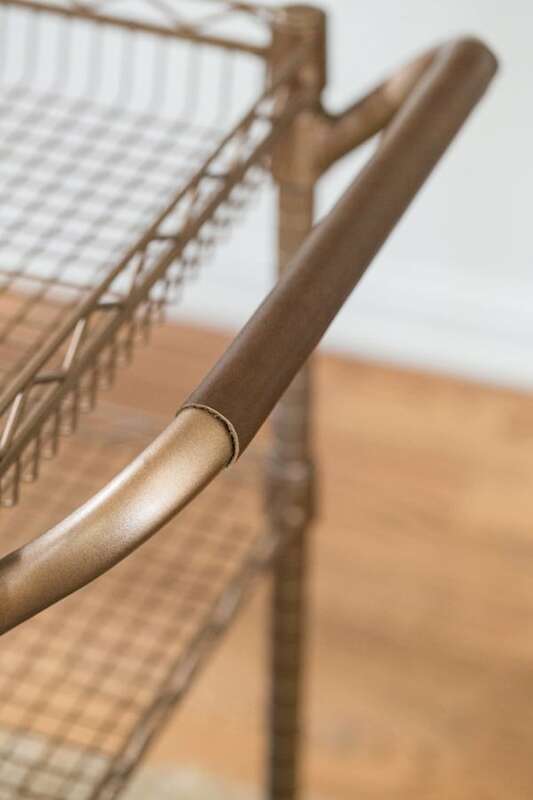 Could you tell me what paint and color you painted the bar cart? Thanks!